The Creek Hockey program is committed to improving the development, safety and welfare of its players and all members involved in hockey and our organization. 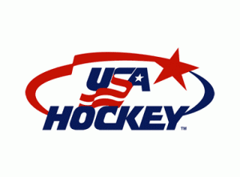 Therefore, it supports the USA Hockey SafeSport Program and CAHA SafeSport Program and requires all players, coaches and members to fully participate. 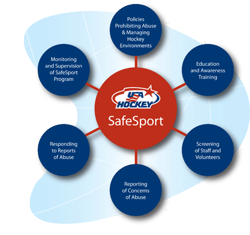 All players, parents, volunteers and coaches looking to participate in the Creek Hockey prograam at all levels needs to review the Cherry Creek Hockey Association Safesport Program Policies And Procedures, which includes the Creek Hockey Club Code of Conduct. Once you have reviewed the full policy and code of conduct each player will need to sign the Photographic Relase and any adult planning to volunteer will need to complete the Volunteer Agreement as directed by the policy. Documents can be downloaded below. If you have any questions you can direct those to Ralph Bammert, Varsity Team Manager. Thank you for your support of Creek Hockey and the SafeSport Program.